U.S. banks don’t even want to kick the softest of crisis drugs. Community bankers are pushing to extend a crisis program under which the Federal Deposit Insurance Corp insures $1.5 trillion of deposits without limit. Yet the program helps concentrate risk, distorts funding costs and brings outsized benefits to the biggest banks. Last week, bank industry groups deployed the usual buzzwords – uncertainty, job growth, small business, the economy – in urging that Congress extend the so-called Transaction Account Guarantee (TAG) for another two years. 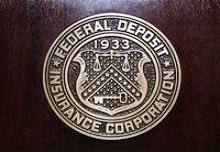 Under the scheme, the FDIC backs all deposits, without the usual $250,000 cap, if they are in non-interest bearing accounts. Banks like TAG, which was put in place in 2008. The insurance gives them a pitch to win customers’ deposits. Because every last cent in non-interest bearing accounts – think checking for companies, small businesses and local governments – is guaranteed, such organizations can rest easy. And it’s not as if there’s much of any interest on offer anywhere else. TAG is supposed to expire at the end of this year. With market conditions relatively stable, it’s hard to see a justification for extending it. More importantly, doing so would extend a distortion. Despite the community banks’ campaign, it’s big lenders like JPMorgan that have benefited most. Roughly three-quarters of temporarily-guaranteed funds are parked at the 19 largest financial firms by assets, according to FDIC data through the end of March. That’s a bigger share than the 60 percent or so of overall banking assets held at those same large banks. Big banks have big customers, potentially with disproportionately large pots of cash. Yet TAG is concentrating deposits at large financial institutions even more by eliminating customers’ risk of putting all their cash in one place. On top of all that, while banks pay the FDIC for insurance cover, they don’t pay anything extra for the unlimited coverage under TAG. That means banks with more TAG funds are implicitly subsidized by those with fewer. These are unintended consequences of a well-intentioned policy. Banks don’t want government help to go away – and policymakers are reluctant to rock the boat. But TAG is a relatively obscure program, and it is past its sell-by date. The least Congress can do to show a little backbone is let it die. The American Bankers Association and the Independent Community Bankers of America on July 27 asked lawmakers to extend a temporary Federal Deposit Insurance Corp program, put in place in 2008, that insures 100 percent of non-interest bearing deposits, regardless of the account size. For typical savings accounts, the FDIC caps insurance at $250,000. JPMorgan reported $339 billion in non-interest bearing accounts at the end of the first quarter of this year, up nearly 50 percent from the same period in 2011.